Go!Fly! activities were broadcast on air at “Plug-in-Japan” – NHK WORLD Radio in August, 2017. The broadcast, titled “Sending Smiles with Wheelchairs“, was translated into 18 different languages. 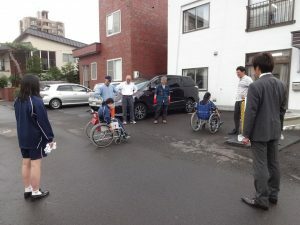 The NHK World Radio producer came to visit us in Sapporo twice, and interviewed our maintenance group and a group of high school students’ who spent time participating in our maintenance activities. The recording was originally broadcast on August 30th, 2017. 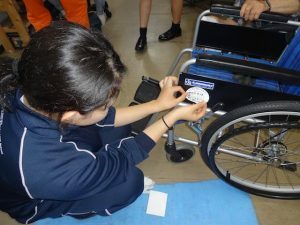 On July 1st 2017, four high school students, who visited Laos later that summer under the program offered by Hokkaido International Exchange and Cooperation Center (HIECC), came to help clean and do maintenance work on the wheelchairs they took with them. It was my first experience using tools. Taking parts out one-by-one and cleaning them individually was hard work for me, but I felt a sense of accomplishment when the wheelchair was finally prepared for the recipient, a lady in Laos. 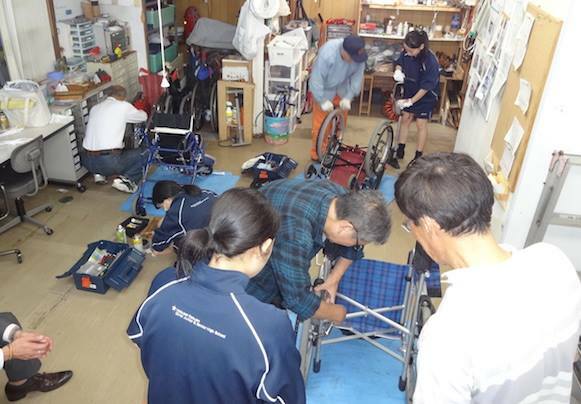 Maintenance of wheelchairs is much harder than I thought. I feel so happy that I was able to help someone in need. The group Go!Fly! always try to put the recipients first, by maintaining all the wheelchairs to a high standard so that they can be used comfortably and safely. I once used a wheelchair when I broke my leg. But I wasn’t aware how it was put together. When I visited Go!Fly!, I rode on one again and realized how difficult it was to go up even a mild slope. This experience was really precious to me.